They said that my motel room would be a single…but I did have a little roommate. Our boys would LOVE to find one of these on our toilet! Cute, would it eat ladybugs and flies? 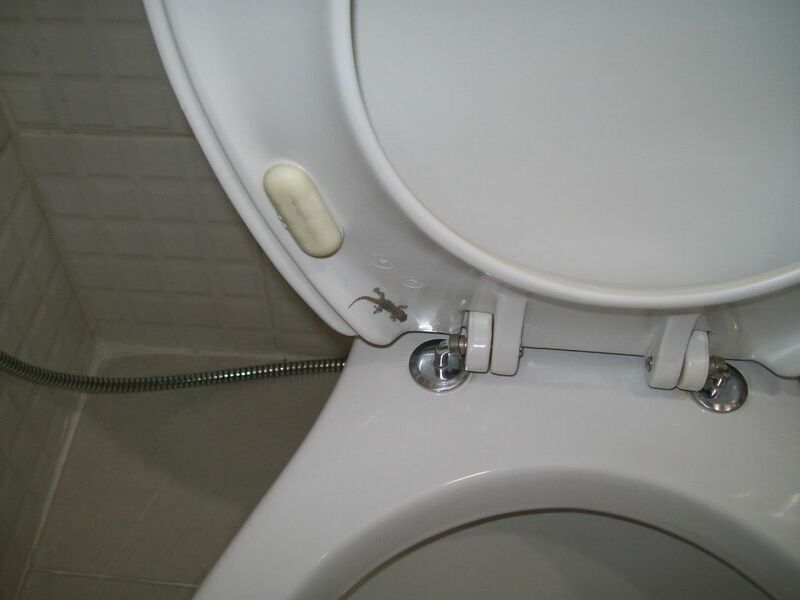 What a clean bathroom, except for the lizard.